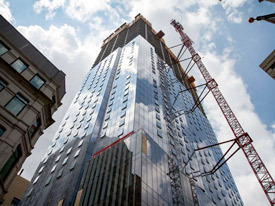 No change in height from the developer for Winthrop Square tower. The main bone of contention re: the development is its height, which will likely stretch to 775 feet. 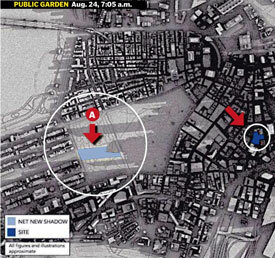 That has raised concerns about potential shadows that the tower might cast on the Common and the Public Garden. Is Millennium considering cutting the height? No. We feel this project was holistically designed at its optimum size in response to achieving the goals that the city required for this public asset. 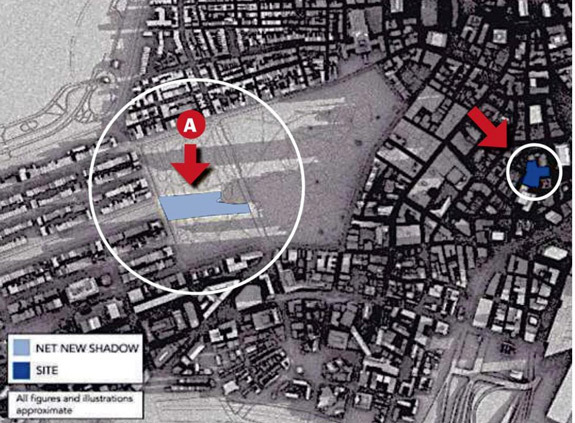 The shadows that will be cast from Millennium Partners proposed Winthrop Square project might darken this development. Who knew, or who should have known, that shadow effect on the Common and Public Garden existed? 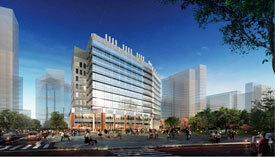 0	Digitas Leases 200,000 RSF at 40 Water St. in Congress Sq. Digitas is on the move, literally; the ad agency DigitasLBi recently signed a lease at 40 Water Street to lease 200,000 RSF. More information is available on B&T. 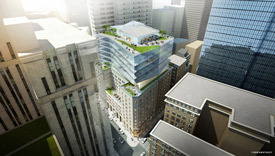 Boston’s Downtown Crossing (DTX) is ground zero for development and change in Boston. The $3.9 billion invested in the past decade is evident by transformations to the streetscape and skyline. 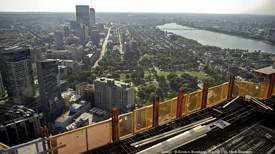 The skyline of Boston’s downtown crossing have never seen so much change as we are witnessing now. 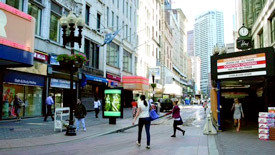 This location simply makes sense for concentrated development due to direct access to the Red, Green, Orange and Blue lines combined with its walking distance to the core of the Financial District and Back Bay. According to Curbed Boston, there are fewer areas of Boston seeing more large-scale development than relatively tiny Downtown Crossing. 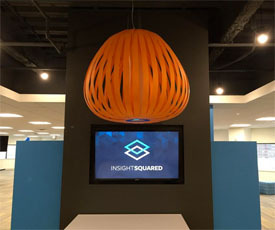 Spires such as the almost-done Millennium Tower and the proposed One Bromfield (and the nearby Winthrop Square Garage redevelopment) could finally pivot the neighborhood away from its 9-to-5 feel and toward a more 24-7, work-live environment.